My camping friends have been raving about these campfire bananas. 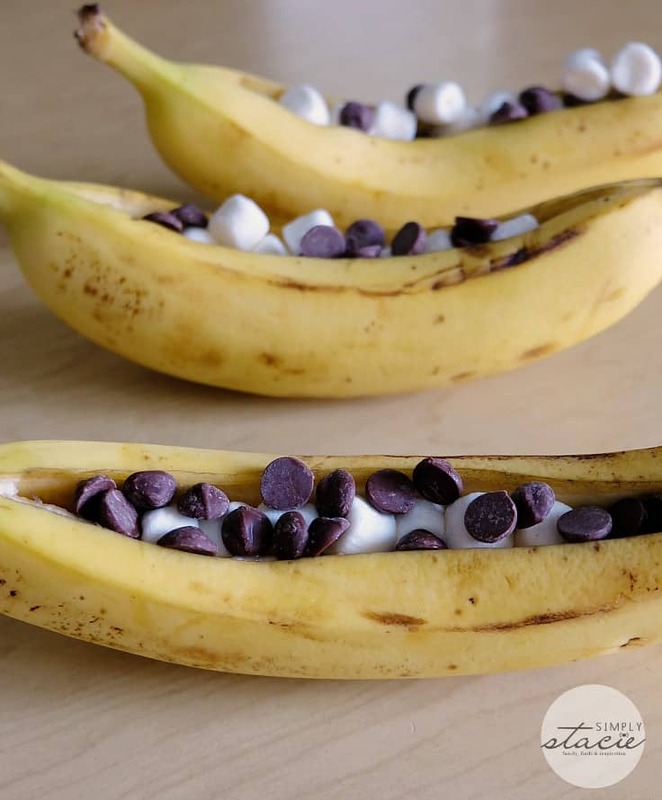 You stuff a whole banana with chocolate and marshmallows and wrap it in aluminum foil. It cooks over the embers of an open fire. Inside is melty, gooey chocolate and marshmallows and soft banana you need to eat with a spoon. The banana peel acts as your “bowl” to hold it all together. It all sounds quite decadent and delicious. I kept wanting to call these Banana S’mores, but they are missing the graham crackers! Maybe next time I’ll break some up and put some pieces in there with the chocolate chips and marshmallows. 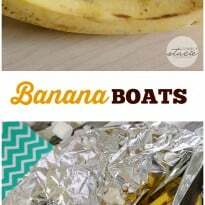 Banana Boats is their correct name although they look more like Banana Gondolas? Eat them while they are hot! I had one extra that I stored in the fridge and ended up throwing it away because it looked gross. This is one of those desserts you need to eat right away. As my dad always said, don’t make them if your eyes are bigger than your stomach! Need more banana inspiration? Check out these 25 delicious recipes for brown bananas. 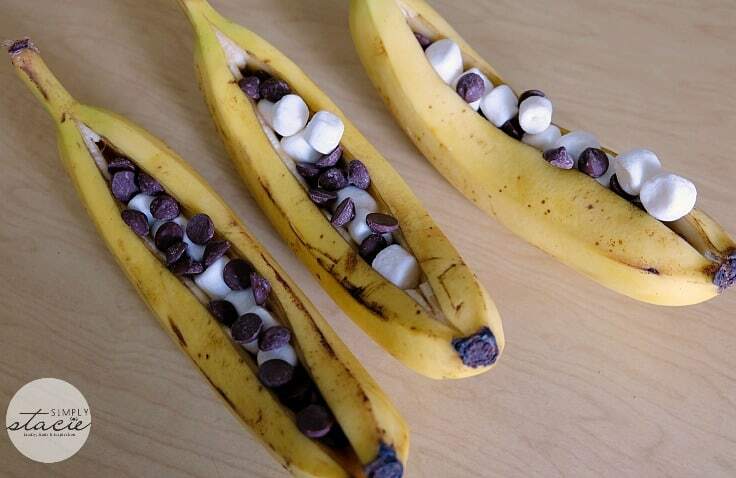 Have you made Banana Boats before? If you have, did you make them in the oven or in a campfire? 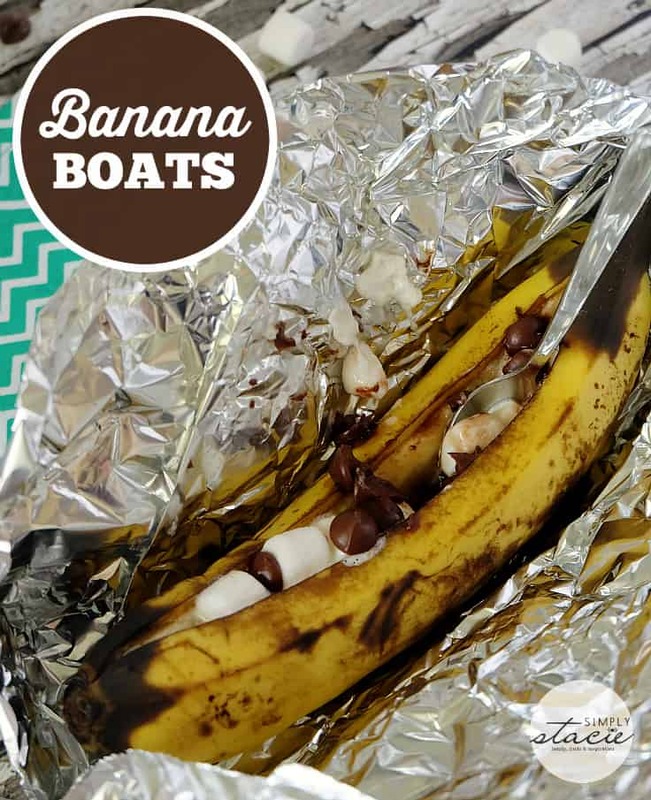 Make this decadent campfire dessert, Banana Boats, at home in your oven! Slice bananas down the center being careful not cut through to the other side. Open up carefully and fill with chocolate chips and marshmallows. Wrap in aluminum foil. Place in a 300F oven for 10 to 15 minutes, or until chocolate and marshmallows are melted. Serve hot with a spoon.